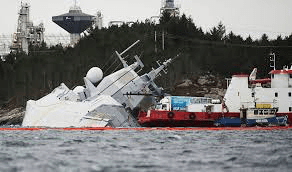 The US Navy has a habit of spending money on ships that are no good….. They are throwing away MY money and YOUR money…..
WTF are they allowed to do THAT? “I just wish there were people brave enough to say, ‘Damn the torpedoes, this has to change,’” said Craig Hooper, a former vice president at Alabama shipbuilder Austal USA, which constructed the Coronado. Hooper is now a senior analyst at the Gryphon Scientific consultancy…..